It seems like it could have been a perfectly lovely trip. 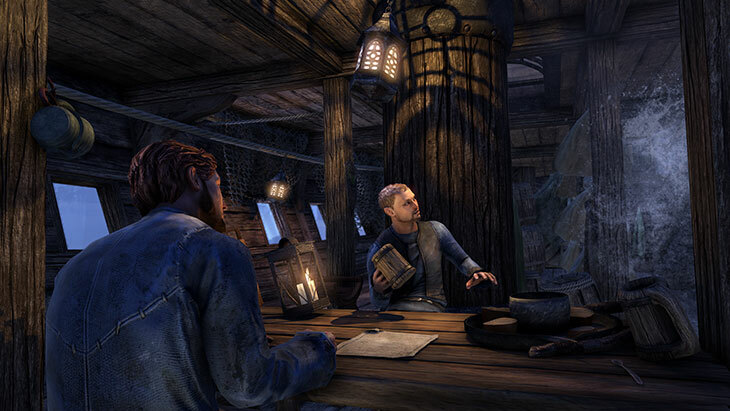 When you begin Morrowind, the newest chapter of The Elder Scrolls Online, you’re sitting down in the galley of a snug little ship on its way to the volcanic island of Vvardenfell. A letter from a dear friend sits on the table in front of you, wishing you all the best on your sightseeing trip. You’ve made friends with a fellow passenger and look forward to a peaceful voyage. And after that? Adventure awaits! Moments after you sit down, the ship strikes jagged rocks and you’re knocked unconscious. You awaken in a much less inviting (but perhaps more snug) place: a cage. A cage inside a slaver’s camp. And your wrists are shackled. This is not what you signed on for. But let’s back up a moment and explain how you got on this ship in the first place. 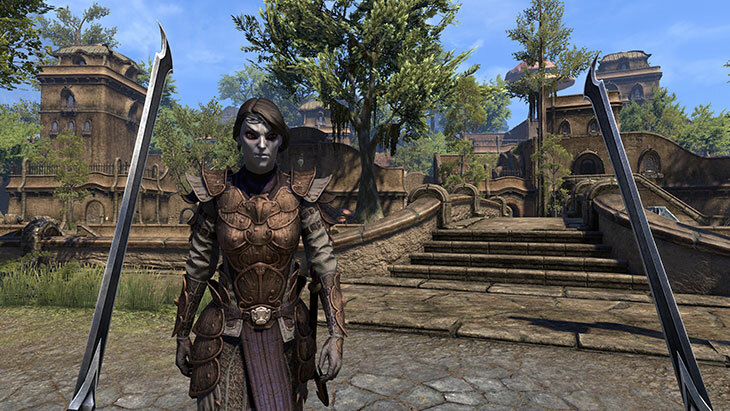 This first portion of Morrowind serves as a story-driven tutorial to get you up to speed with the fundamentals of The Elder Scrolls Online. 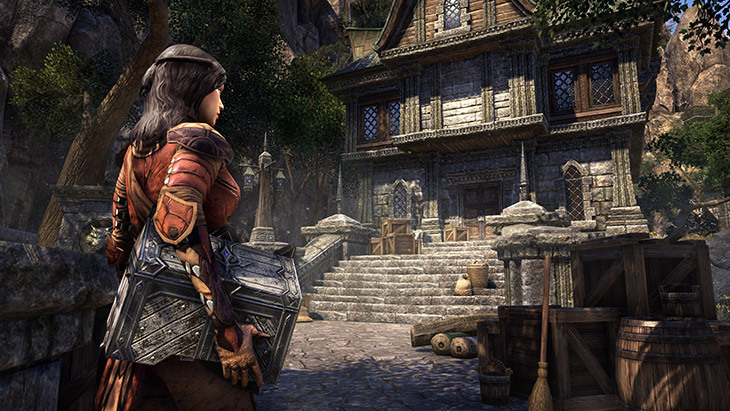 That means new players – including Skyrim fans who might never have played an online RPG – can jump right in without knowing a thing about The Elder Scrolls Online. Morrowind is the perfect entry point into this massive world, and playing through the first few hours will get you fully up to speed on everything you need to know. Of course, returning players who start a new character are more than welcome to play through the intro and experience this new chapter from the start – it’s briskly paced and a lot of fun. That said, ESO vets can skip past the opening and immediately start exploring Morrowind with an existing character if they like. Assuming that this is your first time, the very first thing you’ll do is create a character. As with previous Elder Scrolls games, you have an extraordinary range of options when creating your character, allowing you to craft an avatar uniquely your own. This would be a good time to take a look at the new Warden class, which features some particularly interesting new abilities. Take your time and make your character someone you’ll want to look at for hundreds of hours. Then: the boat. And the rocks. And the cage. And we’re back up to speed. 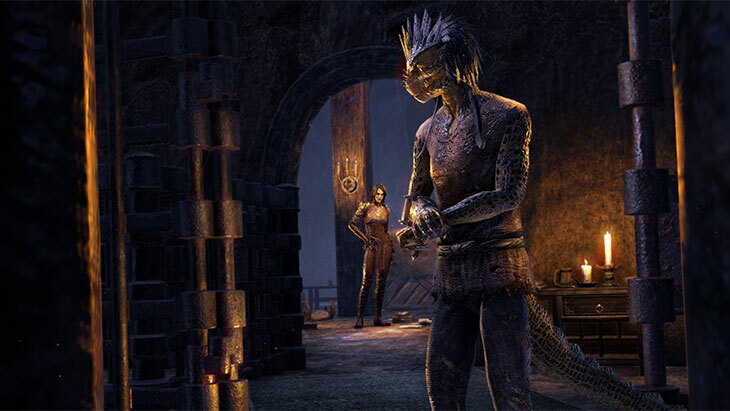 The nice thing about that cage is that it’s open – and even nicer, there’s a “friendly” Dunmer by the name of Naryu Virian waiting outside, ready to get those handcuffs off. But this Dark Elf wants something in return: She’d like you to help her free everyone else the slavers have taken captive. To do so, you need to break into a slaver hut, steal a uniform, break into another hut, steal a gate key, build a bomb and blow up a ship. Easy. There’s just one little wrinkle: You can’t quite manage to make it off the ship before the bomb goes off. Oops. Fortunately, another ship from a nearby town pulls your unconscious body out of the drink, and you awaken in Vvardenfell, on a boat docked in the seaside town of Seyda Neen. Unfortunately, thanks to your disguise they think you’re a slaver too. So it’s off to the governor to convince her it was all a misunderstanding – with a little timely help from Naryu Virian. And that’s just in one quest line – one you can ignore completely if you so choose. 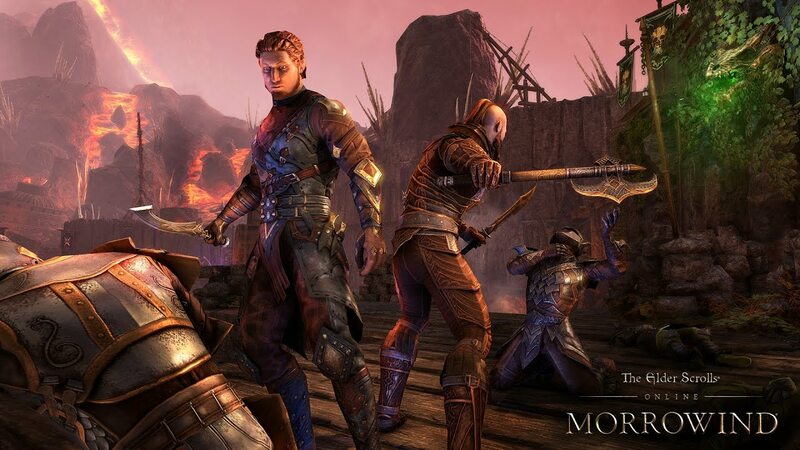 Instead (or in addition), you could play politics with one of the influential houses of Morrowind, digging deep into a tale of a missing daughter and an exiled son, of rogue mercenaries and double crosses. Or you might uncover widespread corruption in the town of Suran. 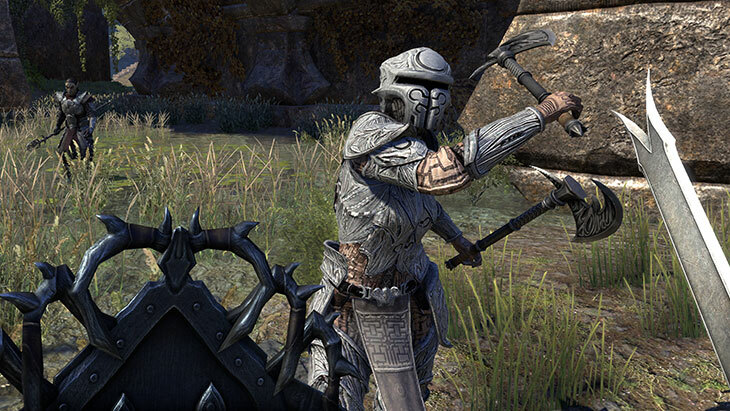 Or you could fight dreugh in a glass mine outside Molag Mar. Choose any of these, all of them, or none at all; you’ll still have loads to do in the shadow of Red Mountain. Vvardenfell is positively packed with quests, both large and small, and plenty of other content in between. 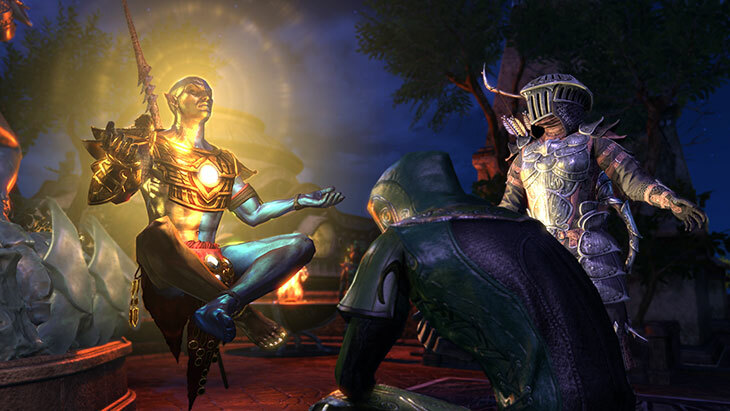 As you progress you’ll gain new abilities, score new loot and uncover entirely new skill trees. You’ll explore fertile marshlands, bitter lava flows and ethereal forests of giant mushrooms. You’ll fight nix-oxen, cliff striders and fetcherfly hive golems. And you can do it all alone – or with a group of friends. Oh, and that’s just in Morrowind. 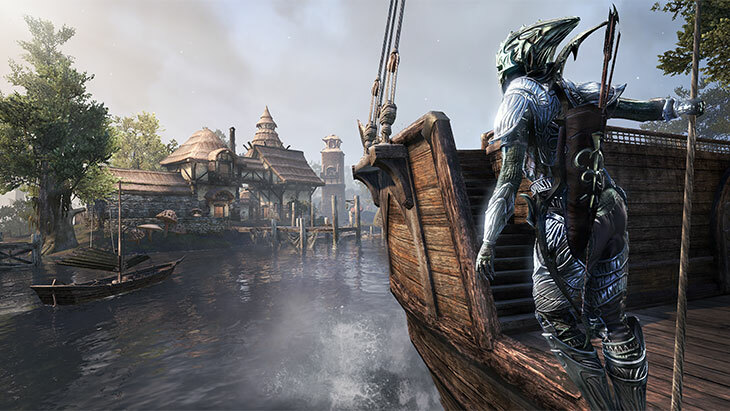 Don’t forget, your shiny new copy of The Elder Scrolls: Morrowind includes more than 300 hours of content that millions of players have experienced and enjoyed in ESO. 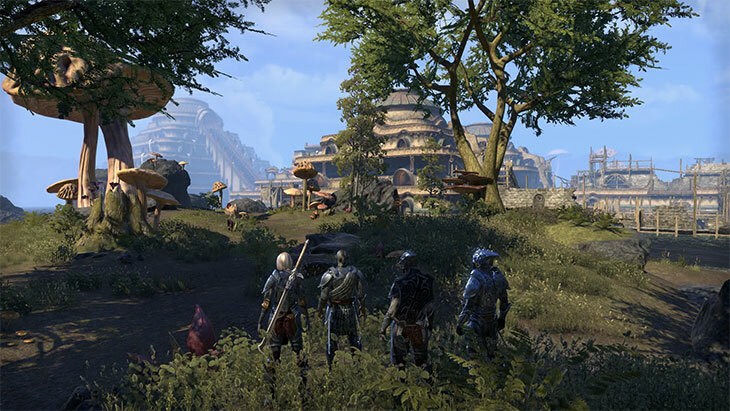 Feel free to explore the rest of Tamriel at will between quests – or once you’ve experienced all that Vvardenfell has to offer. There’s a whole vast continent just waiting for you. But that’ll take a lot more than a few hours.